Value for money for a family of four for last minute trip. The apartment is cozy and nice decorated. Location is great, There is even a storage for the luggage 3 minutes walk from the apartment, if you have late departure. The view from the window is nice. Hostes is friendly and ready help. 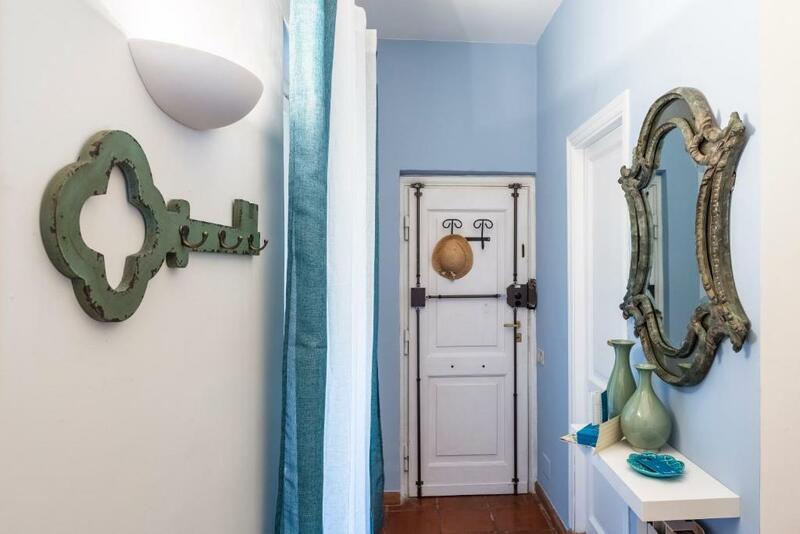 Apartment located in a close proximity to the main showplaces. Nice room, good equipment in kitchen. The location is perfect: close to major sightseeings, and shopping street is just around the corner. The apartment is cosy, light, clean, nearly decorated, a very good wi-fi connection, and good air-condition (which was very much needed during hot days) - in a word, it has all needed for a short stay to see all the places of interest. Great location, stunning view, and Barbara fro sweet inn helped me with the luggage. 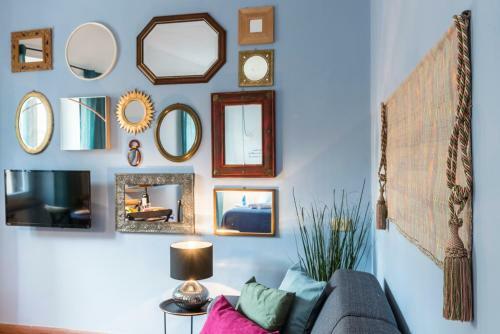 Apartamento muy cómodo y funcional con linda decoración y buena vista. Excelente ubicación cercana a piazza Navona y centro turístico. Camas cómodas y excelente sistema de calefacción (fuimos en febrero). Recibimiento con botellas de agua y capsulas para unos deliciosos cafés. Recomendable y sin dudas volveríamos. Лучшего места для проживания не представить. Район красивый, с множеством ресторанов и кафе недалёко от фонтана Треви. Odlicna lokacija, u centru Rima. Apartman komforan i cist, opremljen svim sto treba za kraci boravak u Rimu. One of our best sellers in Rome! 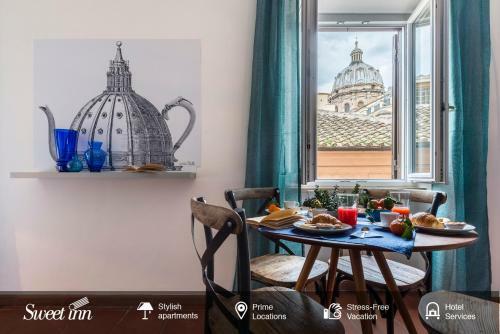 Located in the Navona district in Rome, this air-conditioned apartment is 1,000 feet from Campo de' Fiori. 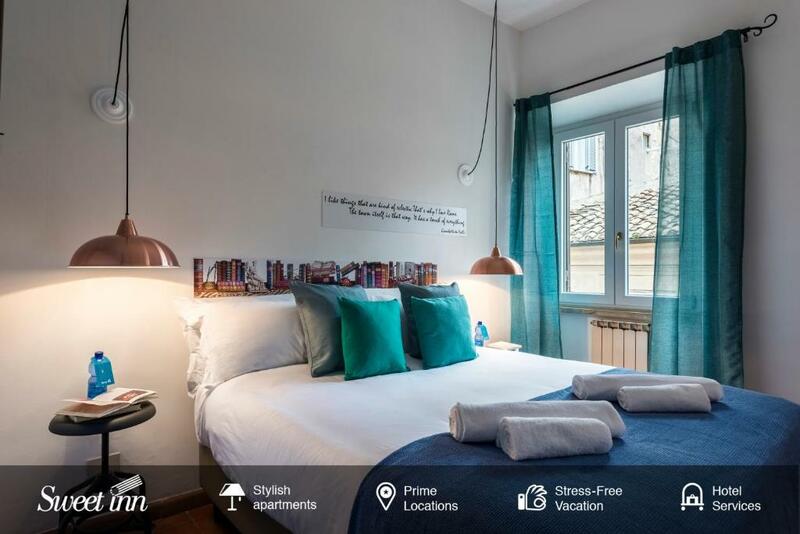 The unit is 1,000 feet from Synagogue of Rome. Free WiFi is available throughout the property. 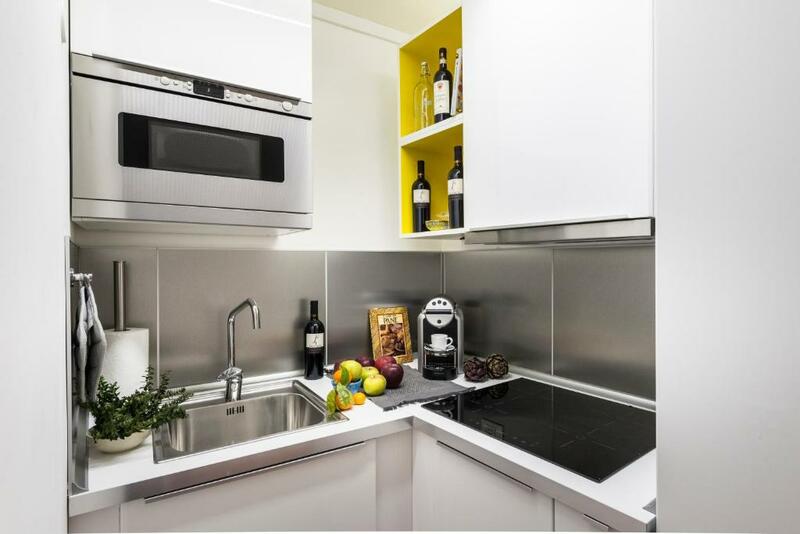 There is a seating area and a kitchen complete with a microwave and a refrigerator. 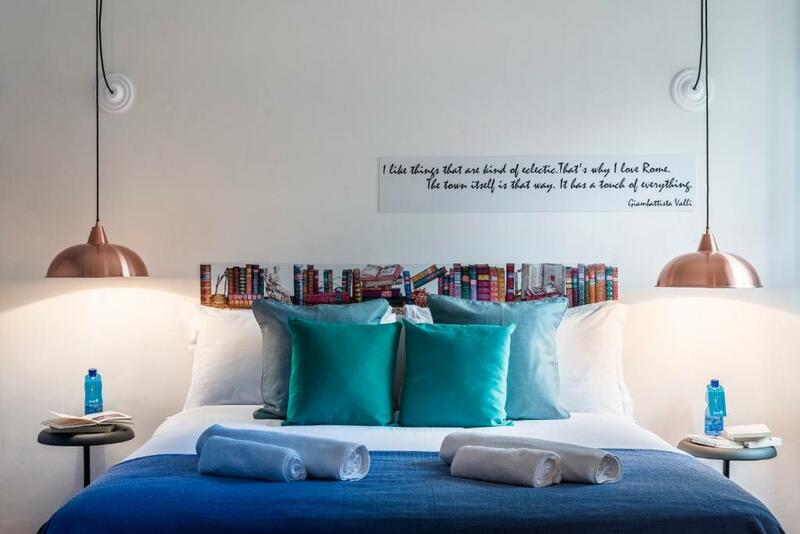 Towels and bed linen are featured at Sweet Inn Apartments - Specchi. 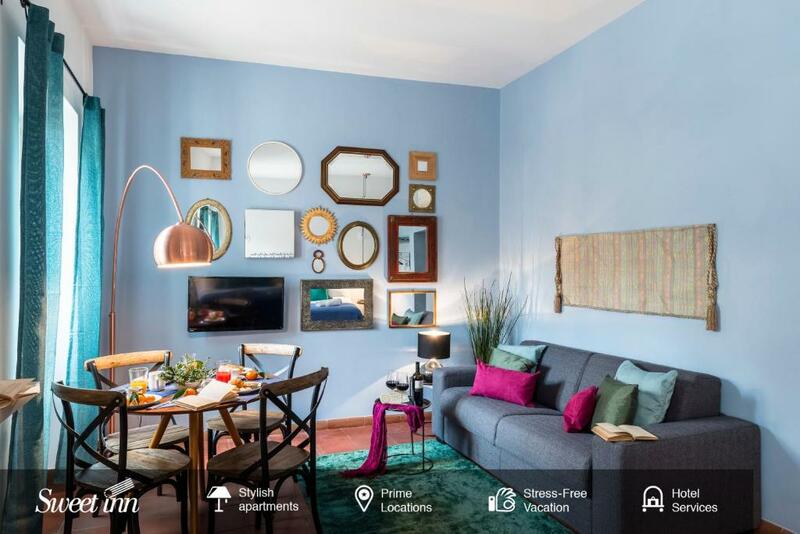 Torre Argentina is 1,300 feet from Sweet Inn Apartments - Specchi, while Pantheon is 1,950 feet from the property. The nearest airport is Rome Ciampino Airport, 9.3 mi from the property. 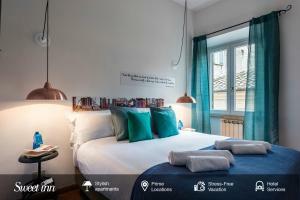 When would you like to stay at Sweet Inn - Specchi? This studio has a toaster, air conditioning and stovetop. 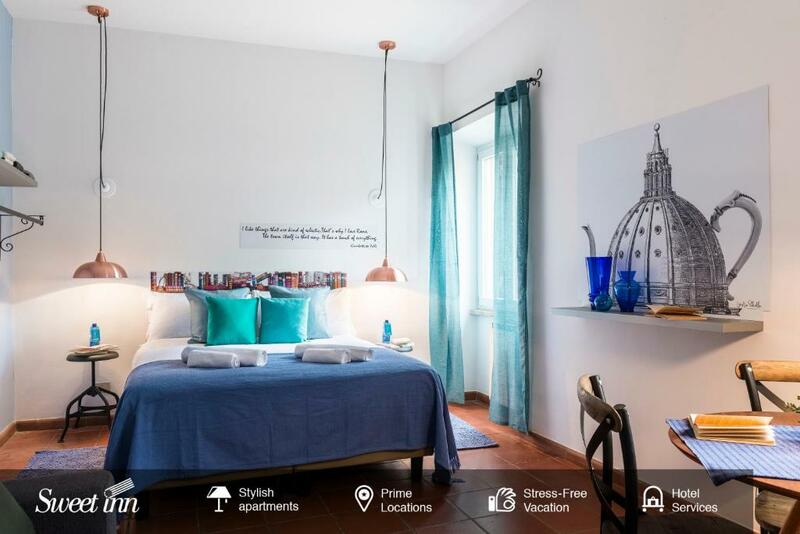 Bursting with color, this studio apartment is walking distance from many of Rome's famous attractions. Picture windows in the living room provide stunning views of the city and fill the space with light. The queen bed and sofa bed will allow you to rest easy, the luxe bathroom will make you feel pampered, and a fully-equipped kitchenette will satisfy your culinary needs. This charming studio apartment is perfect for a couple or small family looking for a true Roman holiday. In Rome’s historic center, the Campo de Fiori-Piazza Navona neighborhood is a tangle of charming cobblestone streets. You’ll find some of Rome’s most famous tourist attractions here. It’s a brief walk to the Vatican and the ancient sights of the Trastevere neighborhood. The outdoor market in Campo de Fiori is a great place to pick up fresh local produce, and Piazza Navona hosts an outdoor artist’s market. The Pantheon is in this neighborhood, along with a wealth of fabulous restaurants -- from chic Michelin-starred establishments to cozy local trattorias. You’ll also find great nightlife and a vast number of local bars. Because of its proximity to many of Rome’s spectacular sights, it’s a wonderful choice for tourists. House Rules Sweet Inn - Specchi takes special requests – add in the next step! Sweet Inn - Specchi accepts these cards and reserves the right to temporarily hold an amount prior to arrival. Please inform Sweet Inn - Specchi of your expected arrival time in advance. You can use the Special Requests box when booking, or contact the property directly using the contact details in your confirmation. A damage deposit of EUR 300 is required on arrival. That's about 336.07USD. This will be collected by credit card. You should be reimbursed on check-out. Your deposit will be refunded in full by credit card, subject to an inspection of the property. It’s 3rd floor, with the worse stairs (super high) ever. The shower is super tiny. An excellent place in the center of Rome. I was staying with baby 4 days, no cleaning facilities for washing machine, soap for hands, sponge etc. no dishwasher ( it listed in facilities) .in bathroom no doors , all floor get wett, after you take shower. No one clean under bad at least one year, and carpet was wery dirty. Need use vacuum cleaner when make cleaning. This is not a place for elderly people or for young kids due to the steep stairs (third floor) and no lift in the building. Sweet In provided us with 1 small soap (25 ml), no hair shampoo for a family of 4 staying 4 nights. No door in the shower cabin, makes bathing a challenging task. Light windows make you feel and hear everything from outside. The price you pay at Booking is not the final, as you pay hidden costs like cleaning for the next tenant. No cleaning whatsoever during the stay, unless you pay. Check out time at 11.00 am, quite early by all standards. No near place to leave your bags unless you go a 10 min travel by taxi. There is no lift and you have to go up with the narrow staircase. For us it was absolutely ok, but may be for someone it is a problem. High steps and narrow corridor in the entrance hall, no elevator - very inconvenient for travellers with the suitcases; no door in the shower unit; no cleaning while the cleaning fee has been charged. This is not a disadvantage, but something to mind when planning a trip. The apartment is on the 3rd floor with no lift and a narrow, curly staircase, so if you have a heavy luggage, then it'll be a bit of a challenge. Besides there is no storage room to leave the luggage after check-out.